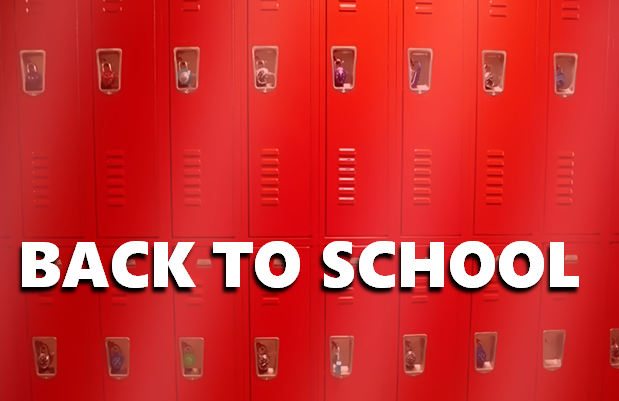 DUBOIS COUNTY -- Students are heading back to school today across Dubois County. 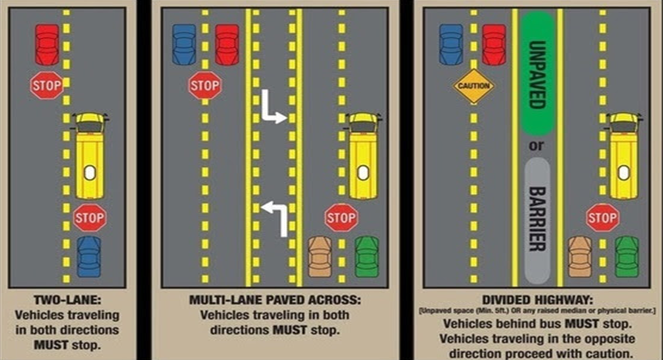 Indiana State Police would like to remind everyone the importance of watching for students and for stopping for school buses while they are loading and/or unloading children. Indiana State Police receive complaints almost daily from school bus drivers, parents and concerned citizens about motorists not stopping for school buses when required. Distracted driving is no doubt a contributing factor, so troopers want to remind all motorists the importance of avoiding distractions while driving, especially near schools. School bus drivers will activate the buses flashing amber/yellow lights when preparing to stop to load and/or unload children. When motorists observe the flashing amber/yellow lights they should slow down and prepare to stop.Once the school bus stops and the RED flashing lights are activated and the stop arm is extended, motorists are required to stop and not pass the school bus.Many motorists are confused when they are required to stop. Below is a diagram and a few examples to help motorists understand when they are required by law to stop. If a school bus stops on a two lane road and the red flashing lights are activated and the stop arm is extended, all motorists MUST stop. Few examples: SR 662, SR 62 between Chandler and Boonville, Covert Avenue, Morgan Avenue, SR 261 between SR 66 and Fuquay Road and North Green River Road north of Morgan Avenue. When a school bus stops on a multi-lane roadway without a barrier and the red flashing lights are activated and the stop arm is extended, all motorists MUST stop. Examples: US 41, Lloyd Expressway, SR 62 in Posey County, SR 66 in Warrick County between Evansville and Spencer County. When a school bus stops and the red flashing lights are activated and the stop arm is extended, only vehicles behind the bus MUST stop. Vehicles that are approaching from the opposite side are NOT required to stop. Unfortunately every year in the United States, children are injured and killed walking to and from school and while loading and/or unloading from a school bus. School buses remain the safest means of transportation for our precious cargo, but we need every motorist to do their part and keep a watchful eye for children and to stop for school buses when required by law. A person who disregards a school bus stop arm commits a Class A Infraction and could receive a maximum fine of $10,000.